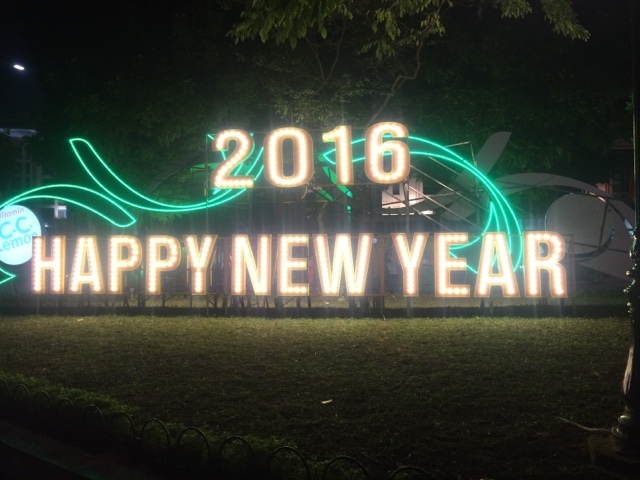 My first time to celebrate New Year abroad and my first tour for 2016 was celebrated in Hanoi, Vietnam. Before I start with my blog, I would like to extend my heartfelt and warmest gratitude and thanks to STARS HOTEL. 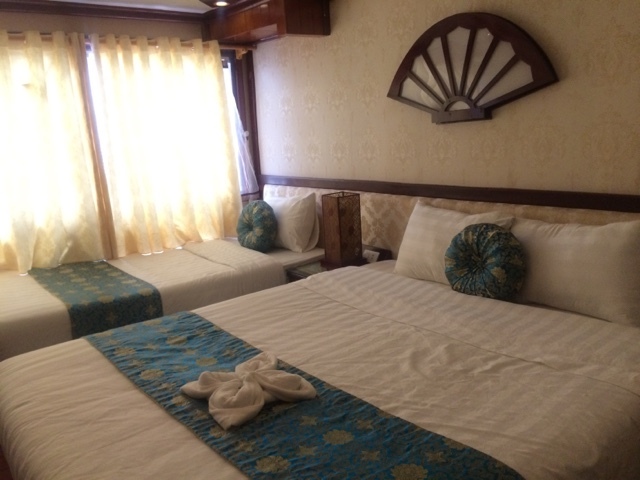 For only 14 USD/day, I experienced one of the best accommodations in my travel outside the Philippines. The facilities and accommodation were excellent, superb and more than the worth of the money that I paid. Two thumbs up for STARS HOTEL! 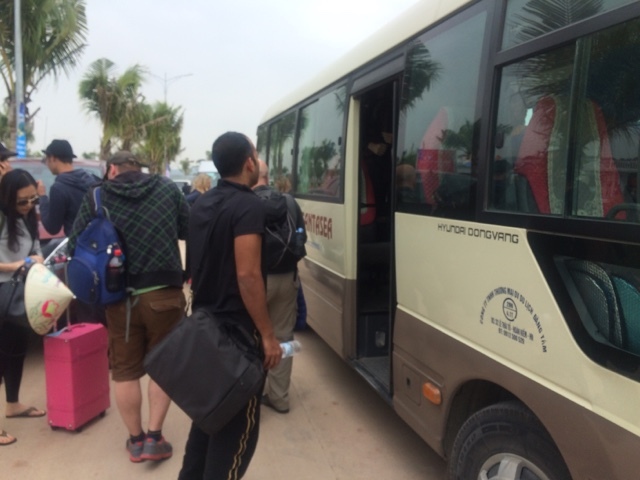 And the members of the hotel staff were very accommodating, courteous, caring, respectful, hospitable, and always willing to lend a help to your needs. 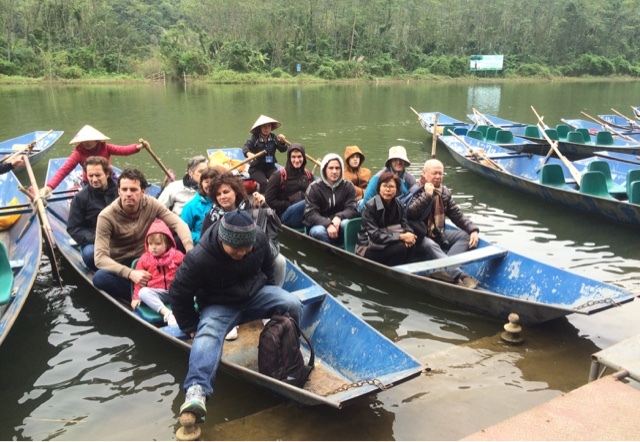 And they gave me the best-priced, cheapest but world-class tours in Hanoi! 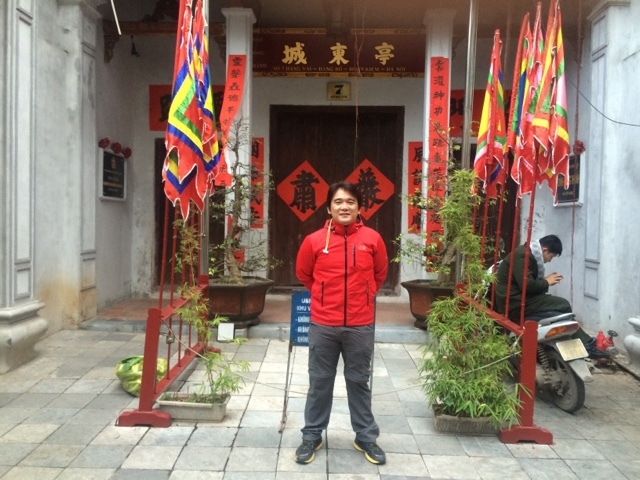 Day 1, I arrived in Hanoi. 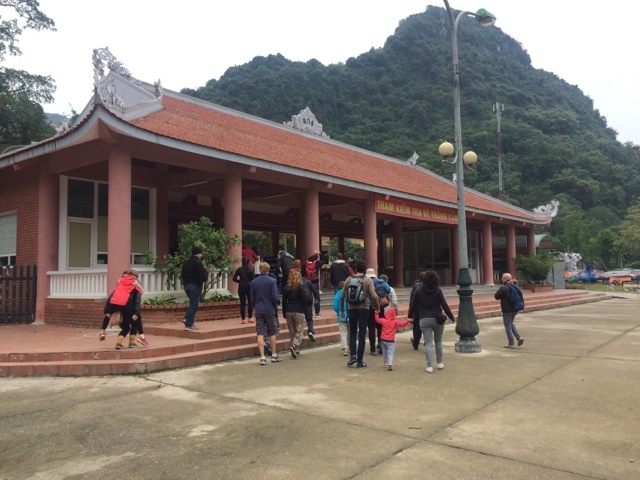 Day 2, I experienced the Perfume Pagoda Tour. Day 3 - A world-class tour! 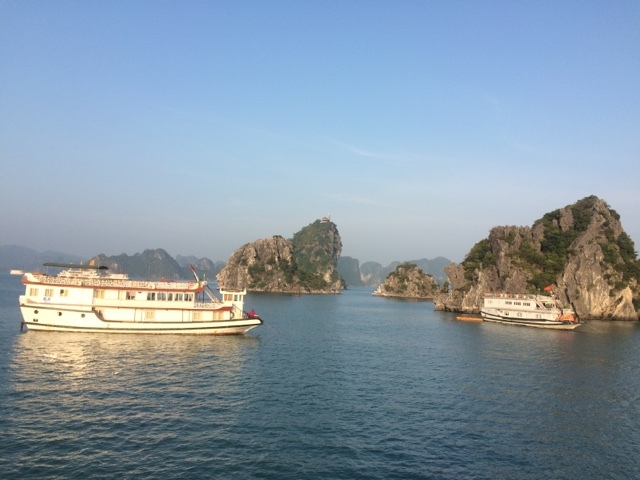 Around 8am, I was fetched by the bus for my tour in Halong Bay. 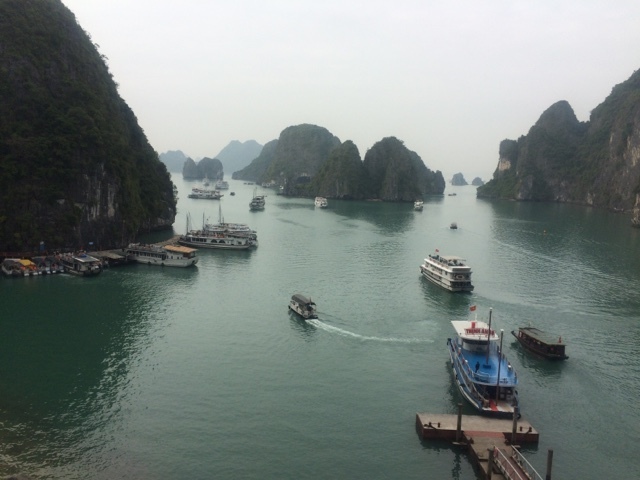 Travel time was 4 hours from Hanoi to Halong Bay by bus. 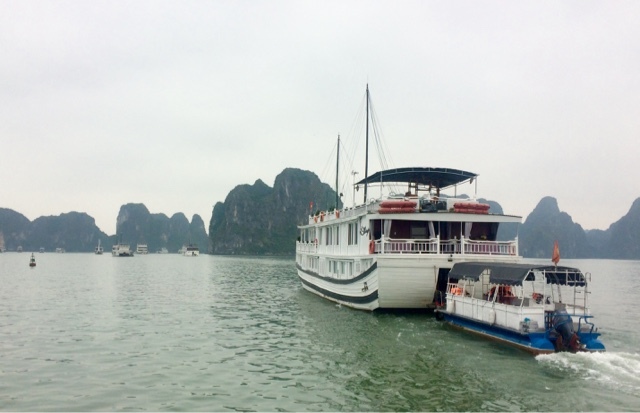 After 4 hours, we boarded a small boat and boarded the luxury or cruise boat for our Halong Bay Tour. There were only 12 of us for the said cruise. 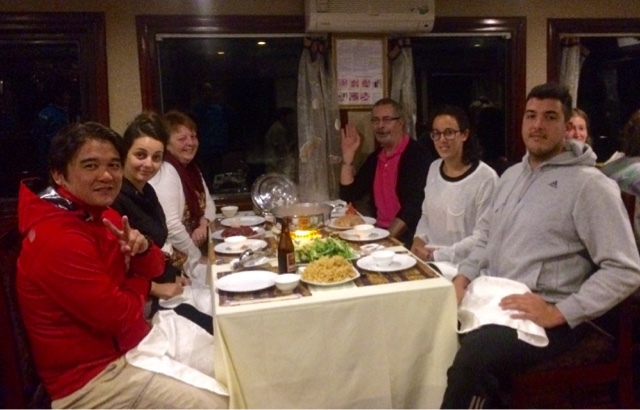 We ate our lunch onboard the boat. Luckily, I did not share the room with anyone! 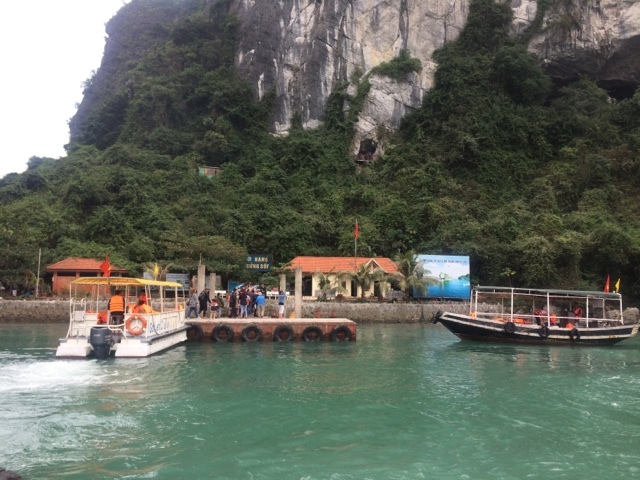 And off we go to Halong Bay! I was so happy! 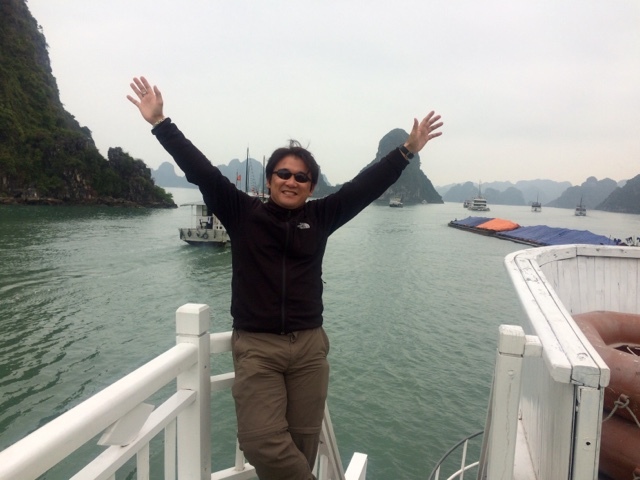 Finally, Halong Bay! 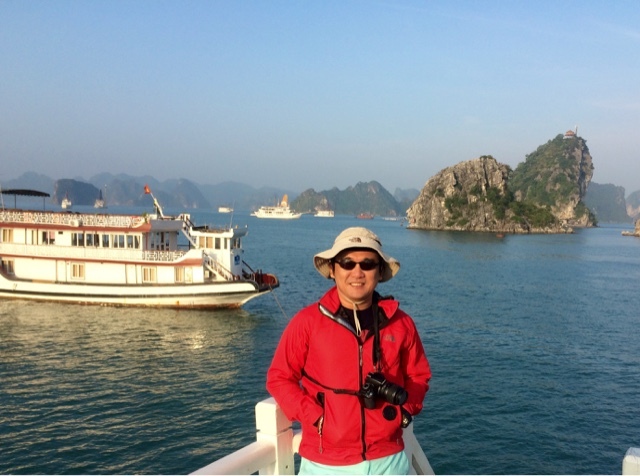 The scenic view of Halong Bay was spectacular! Past 3 pm, we went to our first spot as part of the itinerary of our cruise. 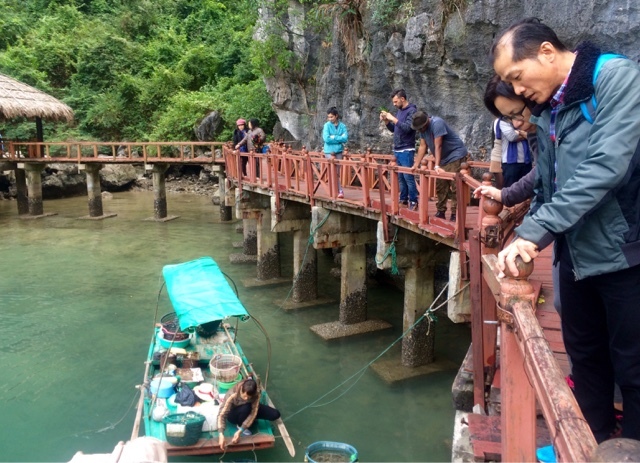 We boarded again the small boat and docked in an island. 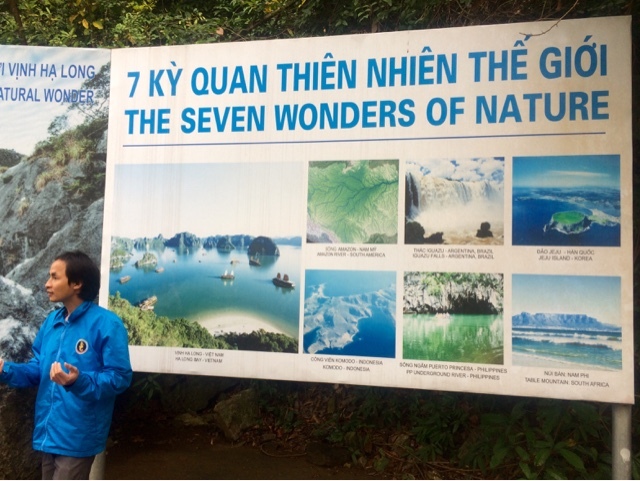 Our tour guide explained the importance of Halong Bay as one of the Seven Wonders of the World! 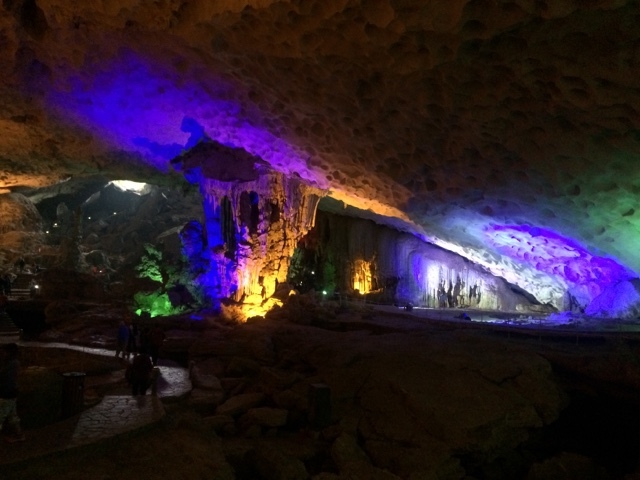 Thereafter, we ascended to the cave. 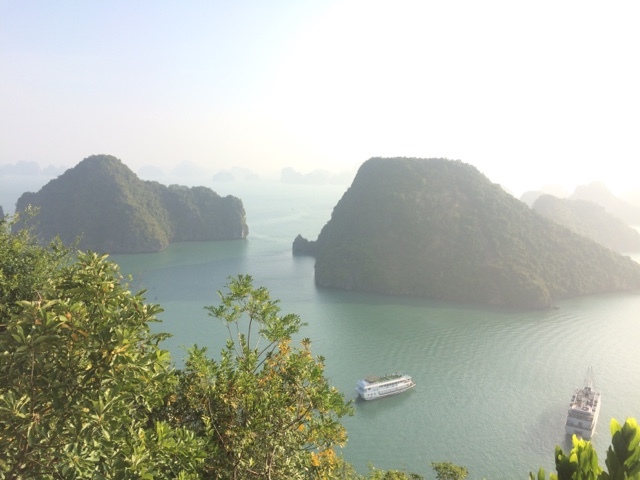 From the top of the cave, another breathtaking view of Halong Bay! 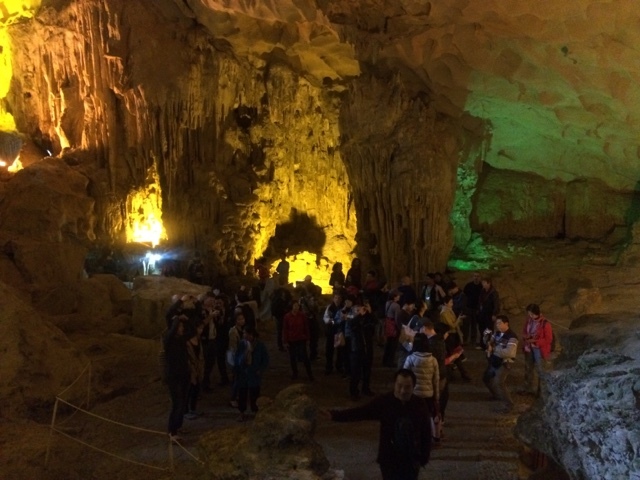 We explored the interior of the cave. After an hour, we exited at the opposite side but the view was still jaw-dropping! 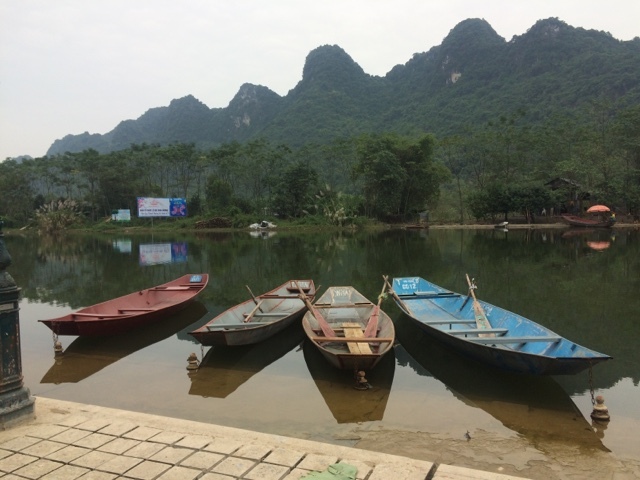 We went back towards the boat and enjoyed the scenery. 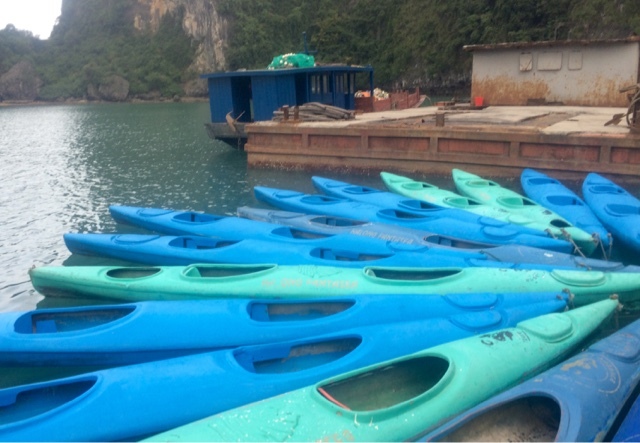 Later, we did another part of the itinerary, kayaking! Kayaking was good only for one hour. 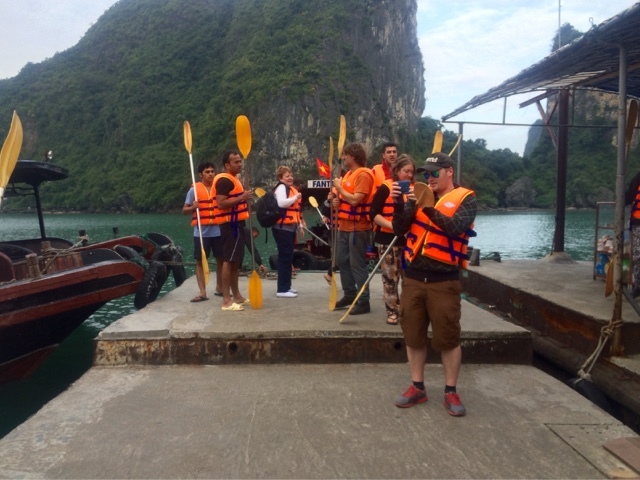 And with an Australian, I paddled around Halong Bay! 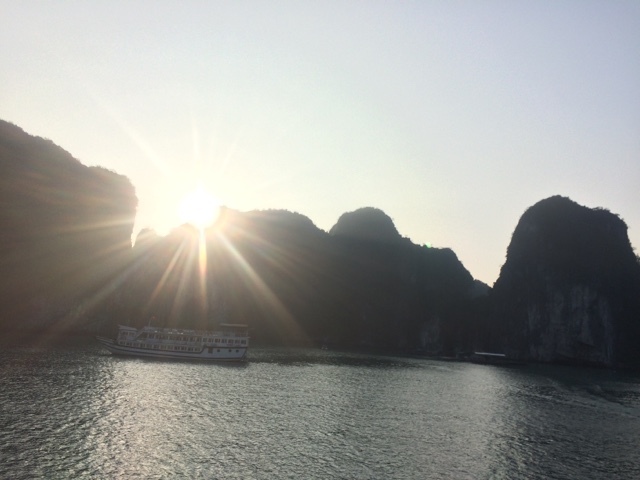 Past 8pm, we took our dinner on the cold waters of Halong Bay. The weather improved. It was only 17 degrees compared to the weather on the first day of 14 degrees. We have the sunlight that day. 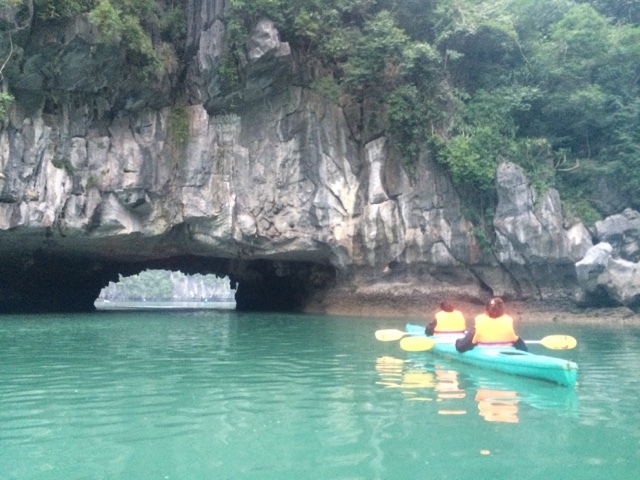 And we continued to explore Halong Bay! 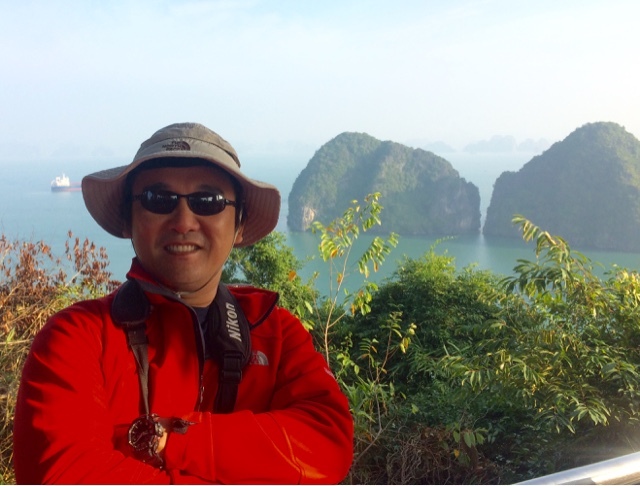 We went to Titop Island for our trek and swim. 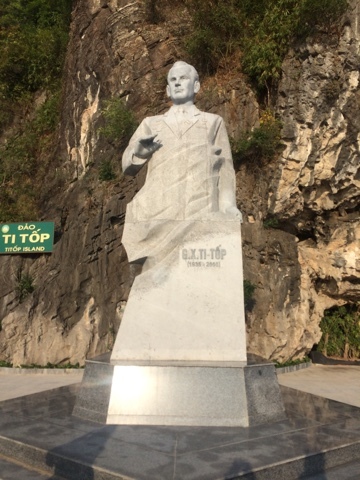 Titop Island was named after a Russian cosmonaut who visited Vietnam. We ascended for an hour. And finally reached, the top of Titop Island. I was all smiles at the top of the island. Then, we descended. 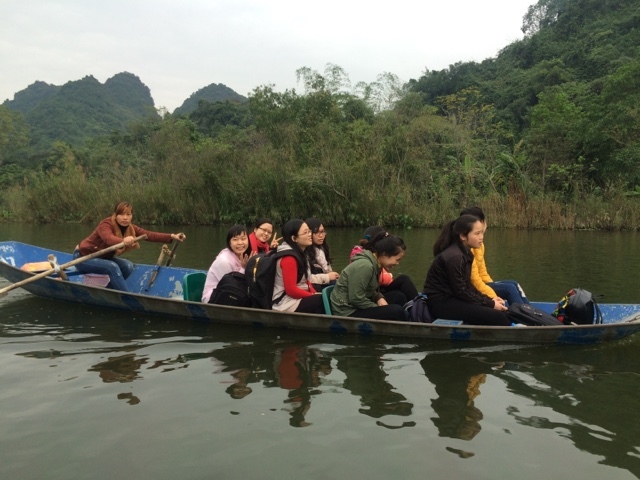 Some of my tourmates enjoyed the scenery and the others took a dip at the cold waters of Halong Bay. 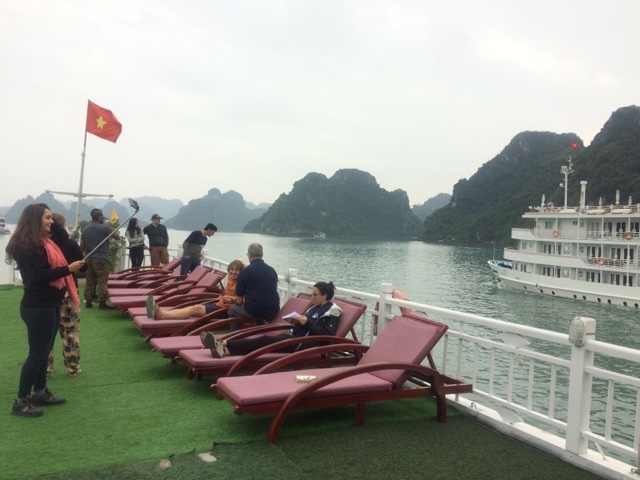 Then, we boarded the luxury boat and we went back to the mainland. 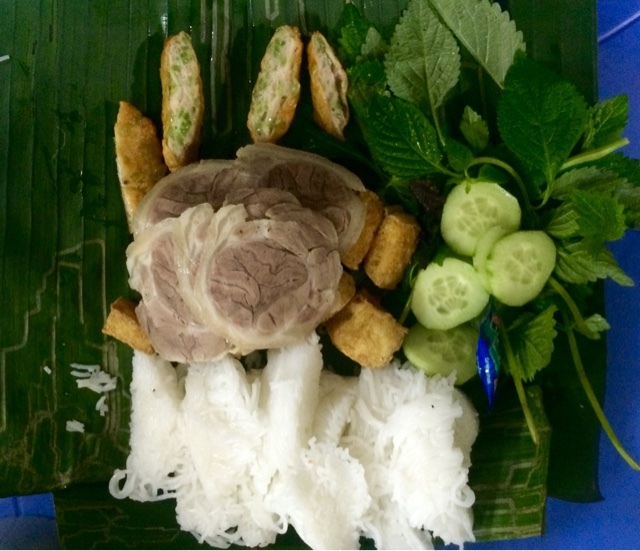 Last part of the itinerary was making the spring roll. 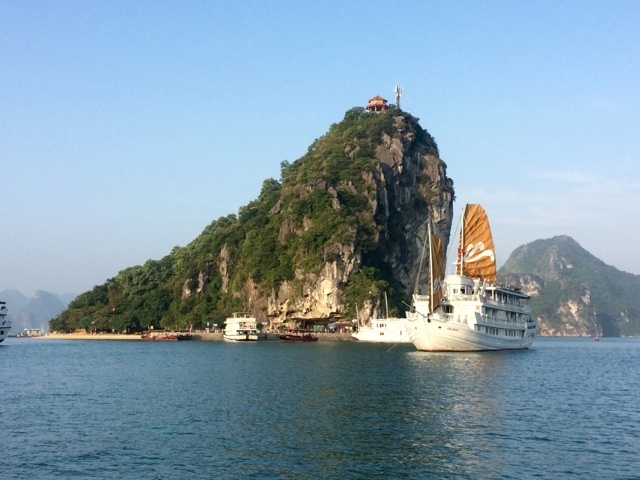 After 2 days and 1 night, we docked at the port. 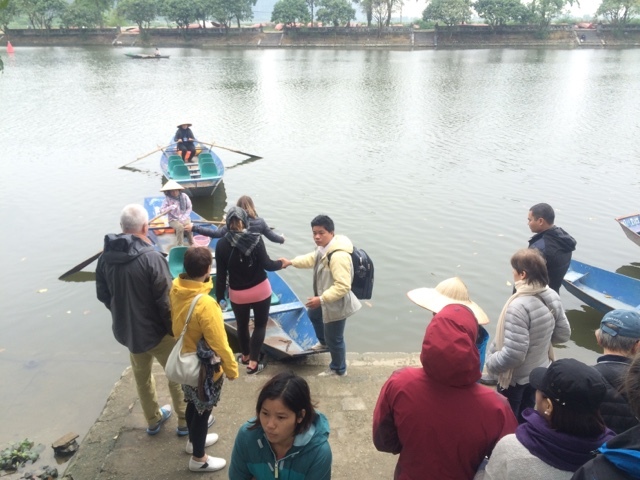 Another 4-hour ride back to Hanoi and along the way, I saw the lake in Hanoi. I ate another Vietnamese food! 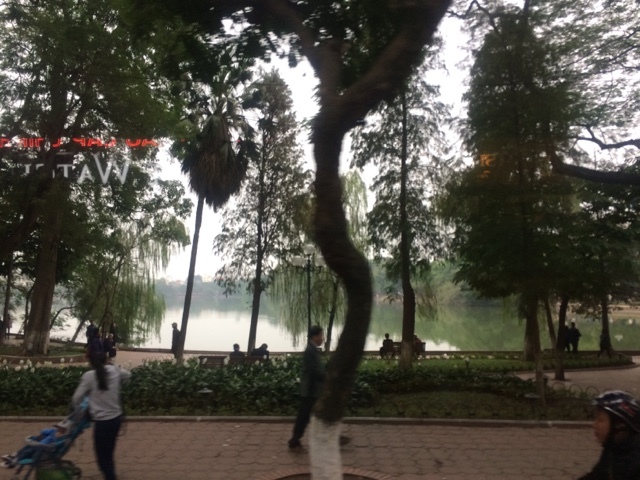 Explored Old Quarter, the park and the lake. I promised myself that I will be back! 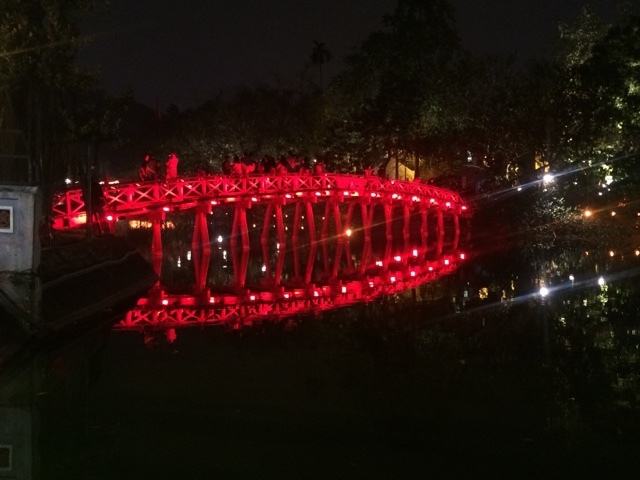 Hanoi is a place for lovers. The lake and the park were outstanding! 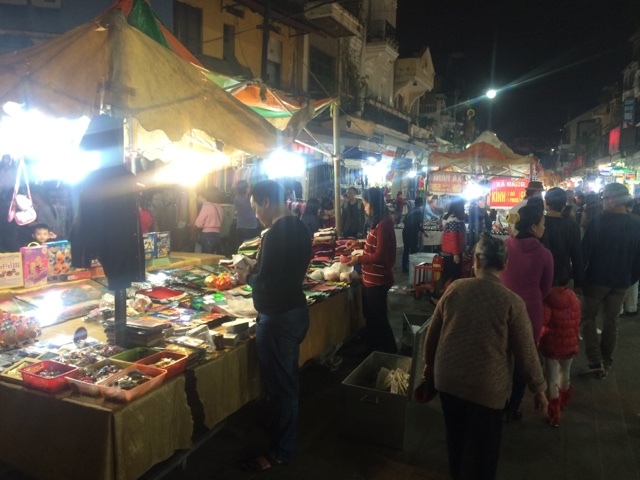 Before leaving Vietnam, I had to do last minute shopping at the night market. 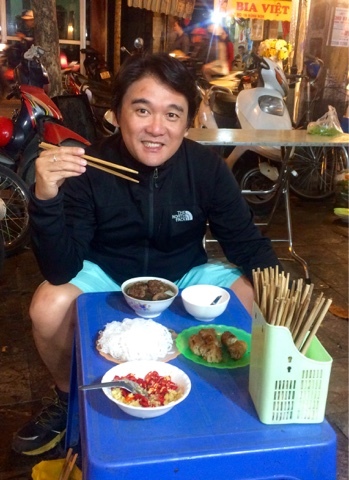 And eat Bun Cha for the last time! 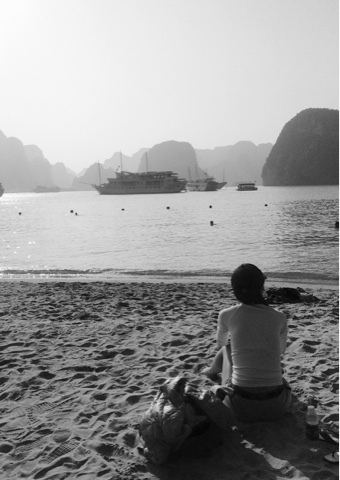 Till my next travel in Hanoi! Thank you Tony, Kim, Hien and Xiao Tian!! 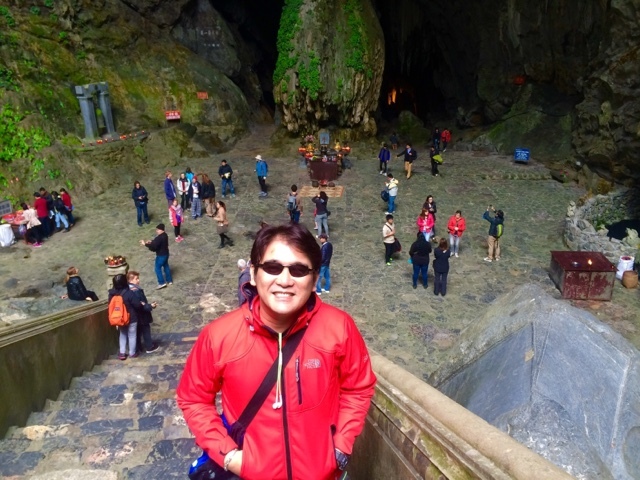 Reaching the age of 40, I promised myself that I have to explore and do new things in life. 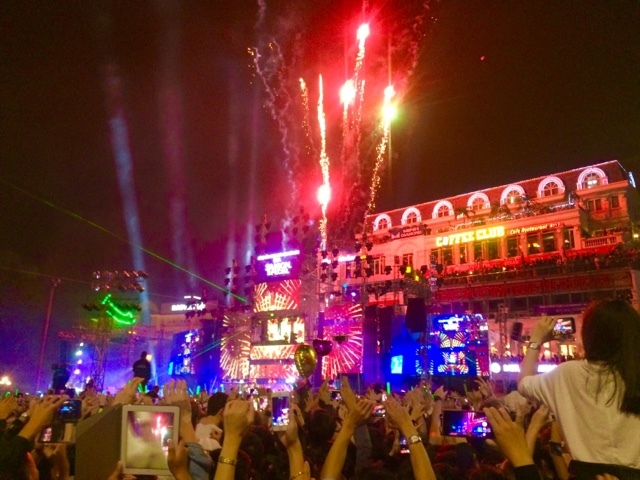 And one of first thing that I have to do is to celebrate New Year outside the Philippines and the chosen country was Hanoi, Vietnam. 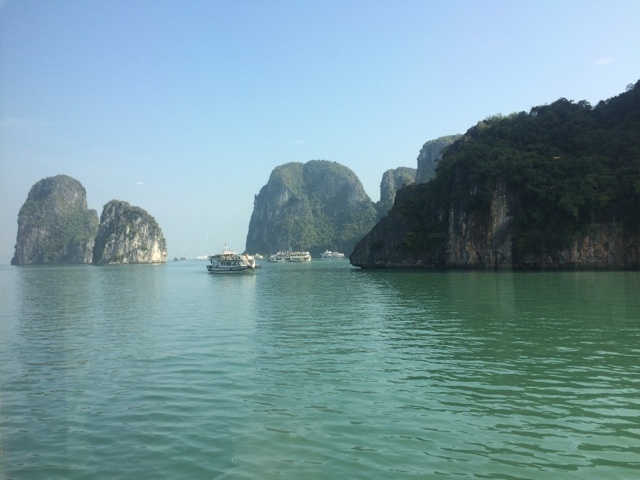 I spent 4 days in Phuket, Thailand. It was my third time to visit the place and again I promised myself that it would be the last. So from Phuket, I boarded the plane to Singapore. I spent the night at Changi Airport and the following morning boarded the flight to Ho Chi Minh. Reaching Ho Chi Minh, I boarded another flight to Hanoi. 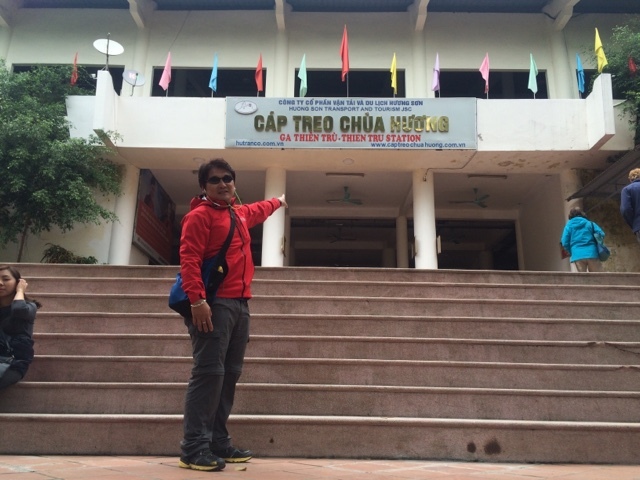 My second time to reach Hanoi! From the airport, I boarded the taxi to my hotel. I paid 400,000 Baht for the fare. 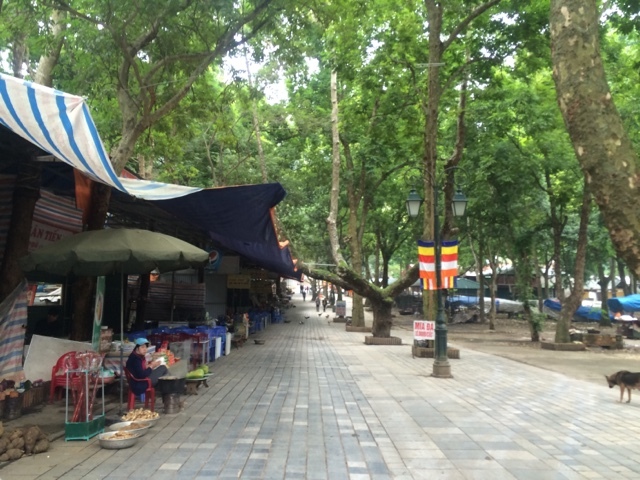 It took me almost an hour before reaching the heart of Hanoi. I was freezing! 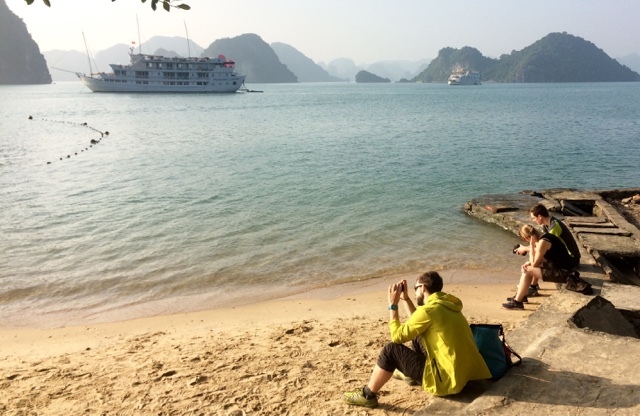 The temperature in Phuket was 32 degrees and in Hanoi 14 degrees. 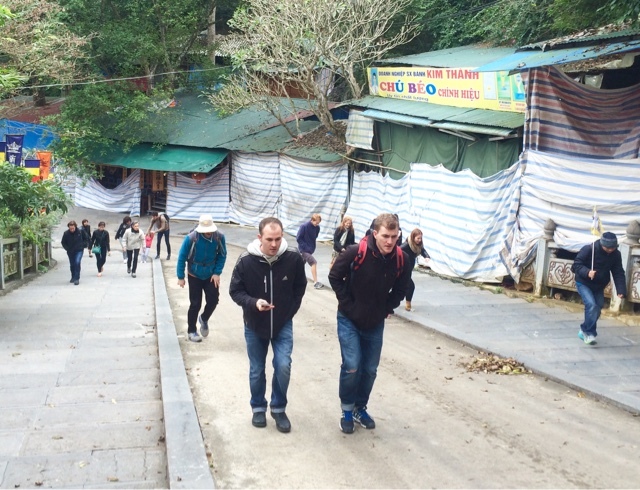 I was not prepared for the cold weather of Hanoi. In fact, I was wearing only a shirt and shorts. 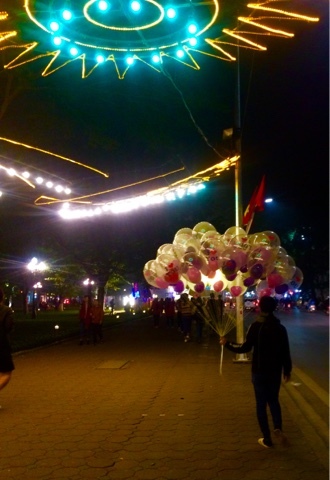 I did not know that it was winter in Hanoi. After nearly an hour, I reached STARS HOTEL. 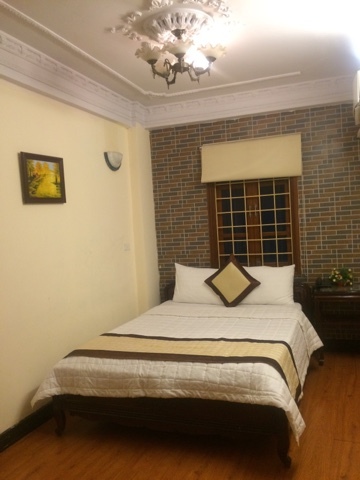 I paid only 14 USD for this room but the facilities, accommodation and staff were more than what I paid for. The members of the staff were courteous, accommodating, respectful, always eager and happy to serve! 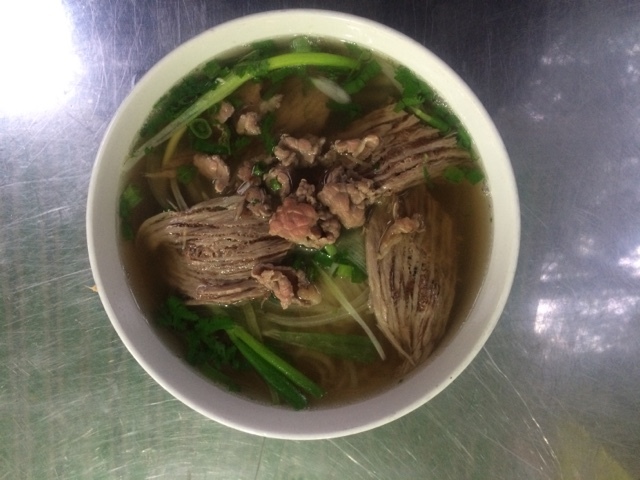 After check-in, I immediately went out and took my first meal in Vietnam - Pho Bo! 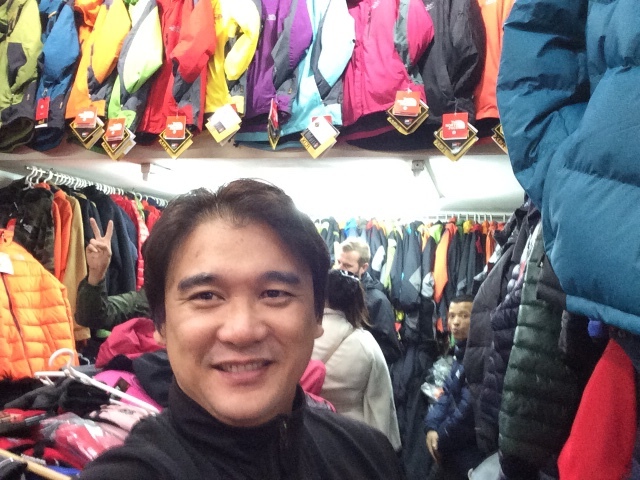 Then, searched for my favorite travel brand - Northface! 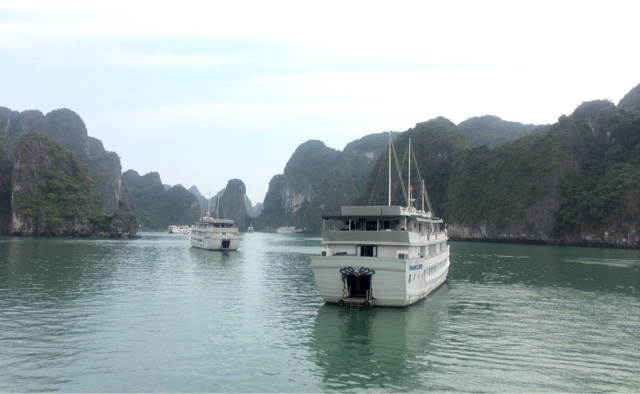 The hotel was the one who booked my tour in Perfume Pagoda and Halong Bay Tour. And the price they offered was the best and cheapest! How did I know? I asked my fellow tourmates and the price I paid was always the lowest. 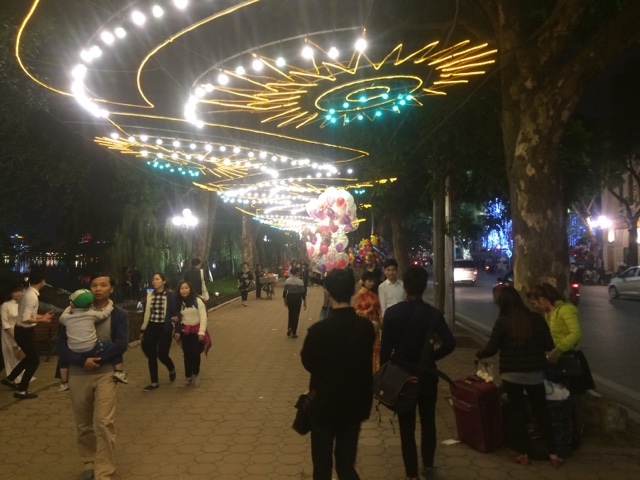 I went out while waiting for my bus service for my Perfume Pagoda Tour. 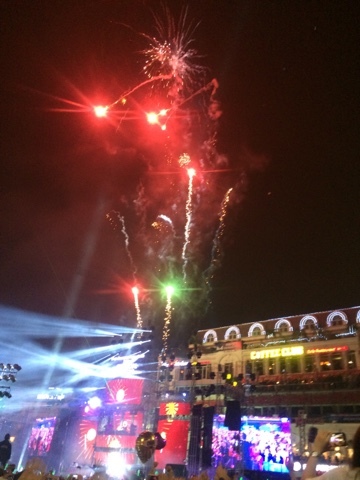 And the weather was still 15 degrees! 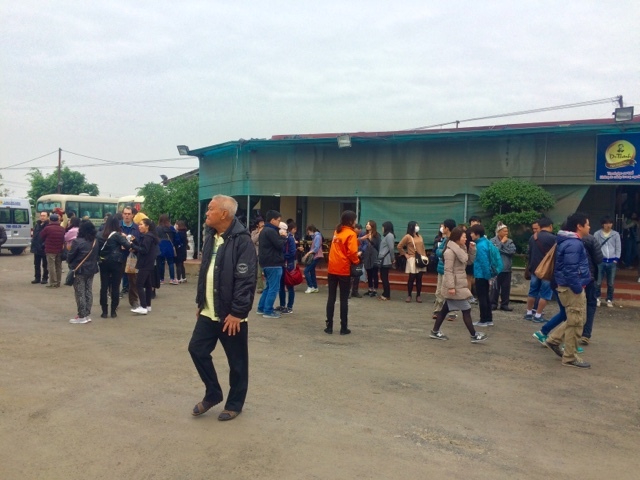 The bus service arrived 8:30 am and we went to the jump-off point. Travel time was nearly 2 hours. We stopped at a souvenir shop for 30 minutes and proceeded to our destination. 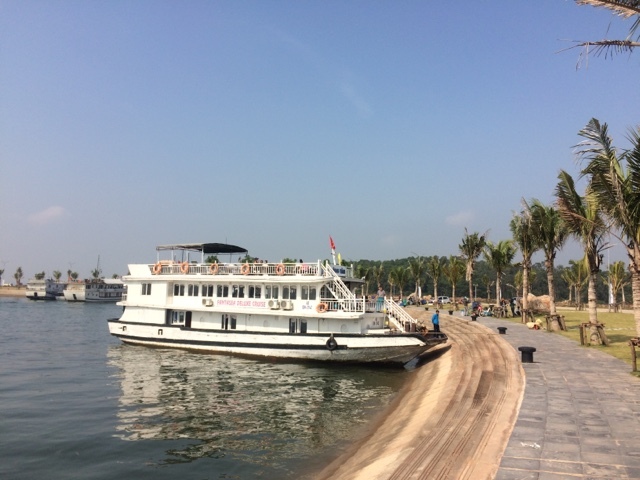 Finally, we arrived at the docking area. 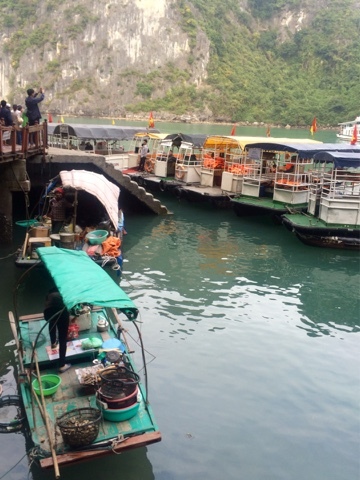 We boarded the boat and the boat ride was 1 hour. After 1 hour, we docked at the opposite end. 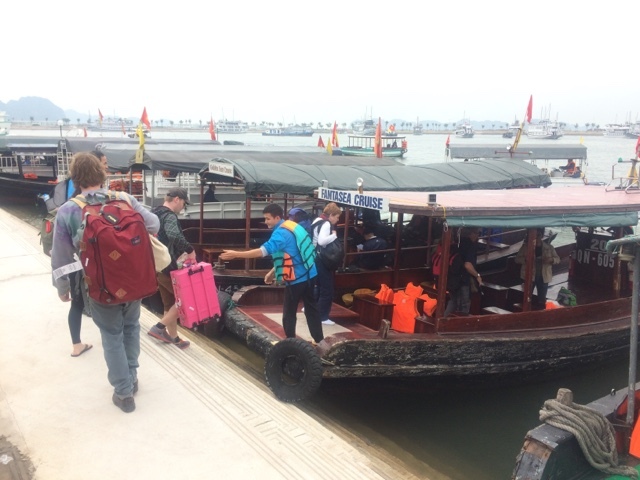 The boat capacity is 5-6 pax and I was with 4 British and 1 Vietnamese. The place was a sight for a sore eyes! 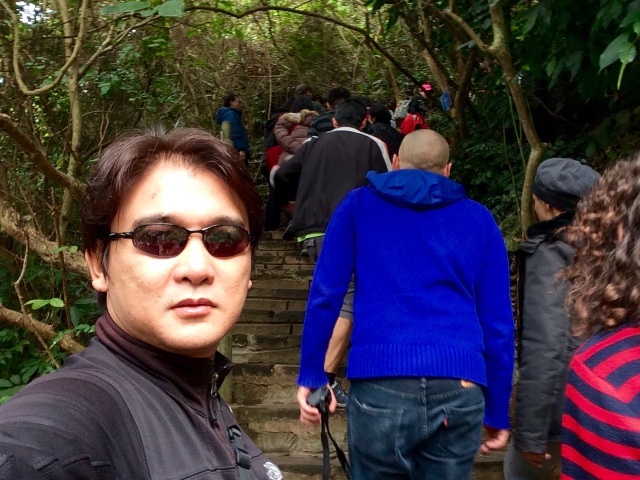 Then, we started to ascend for our lunch. After the light trek, we reached the spot. 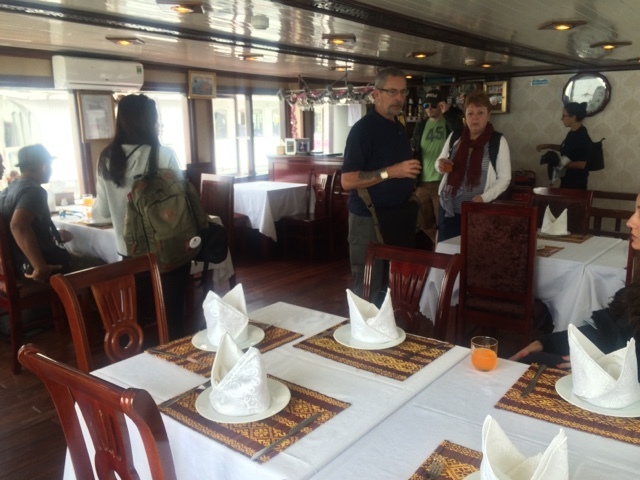 We were treated to a buffet lunch as part of the packaged tour we paid! 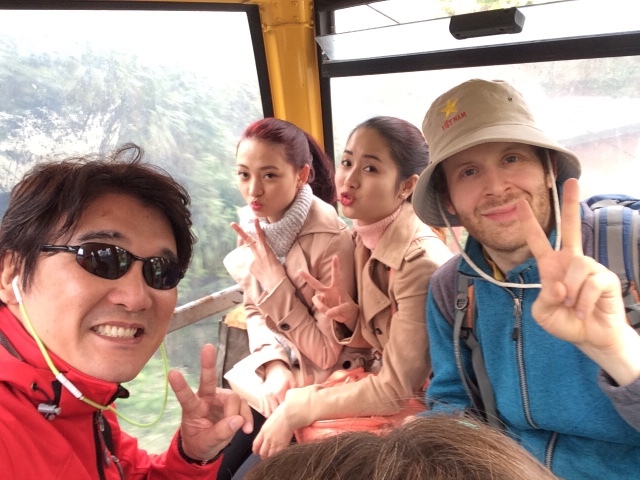 After lunch, we went to our cable ride. My sixth time to experience a cable ride abroad! Cable ride was good only for 15 minutes. 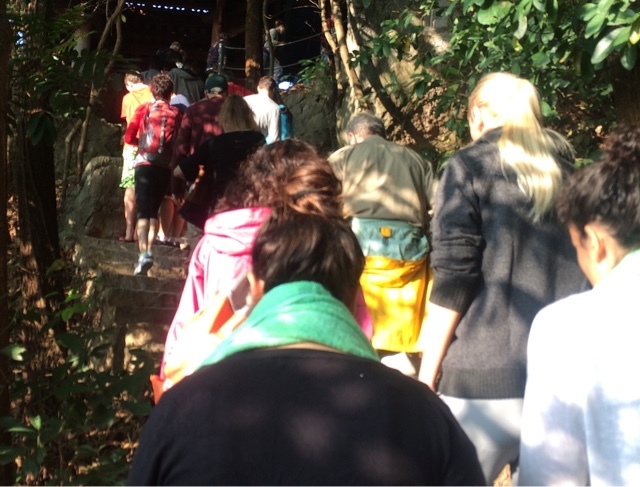 Then, we trekked towards the cave for 20 minutes. 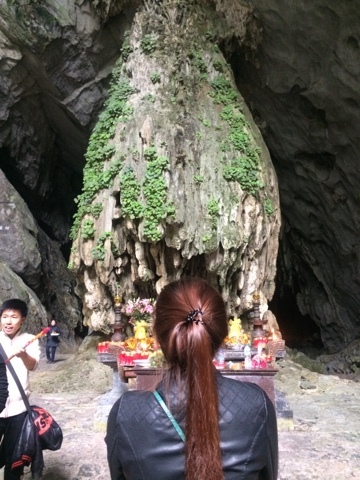 Then, we reached the Perfume Pagoda Cave. There were so many locals offering their prayers and flowers. 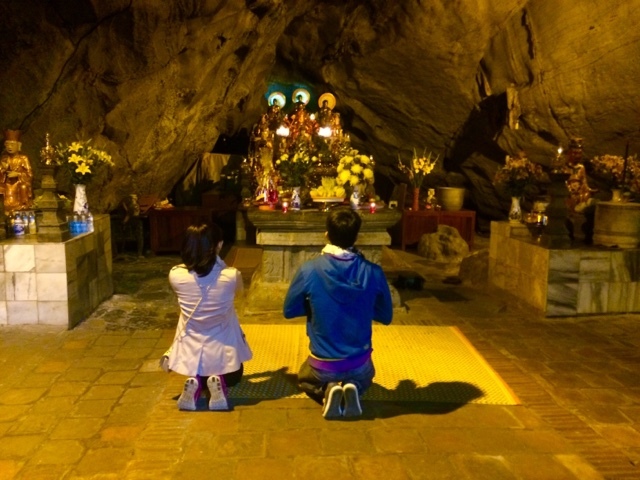 They were very intimate in praying. 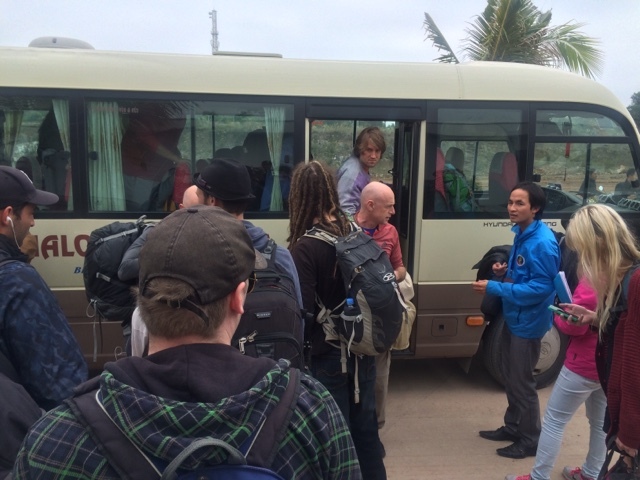 After the tour, we descended. 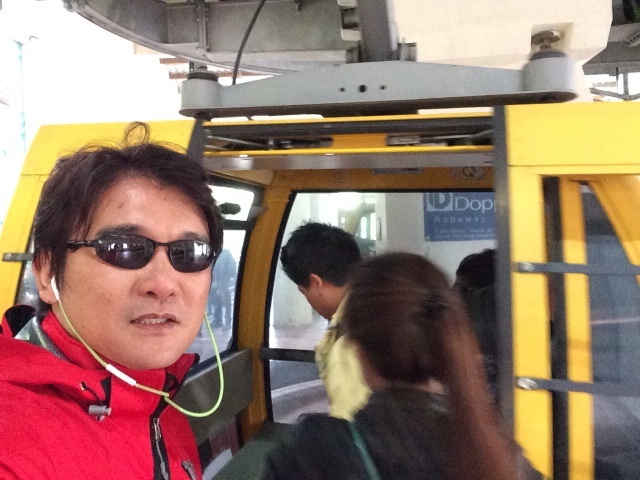 But this time, I did not use the cable car. I trekked for 50 minutes. 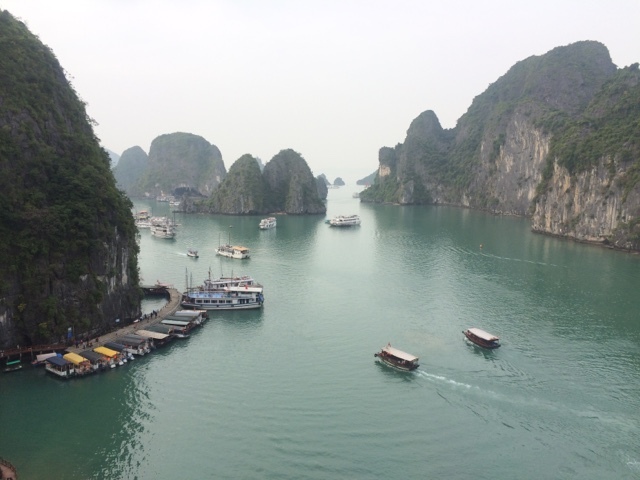 After 2 hours, I was back in Hanoi. 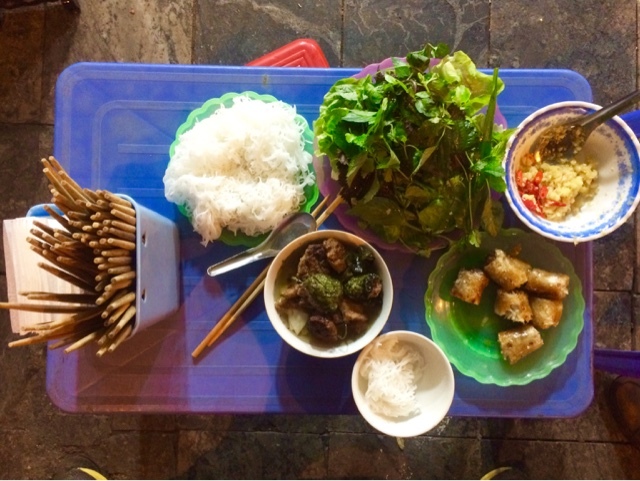 I ate Bun Cha! 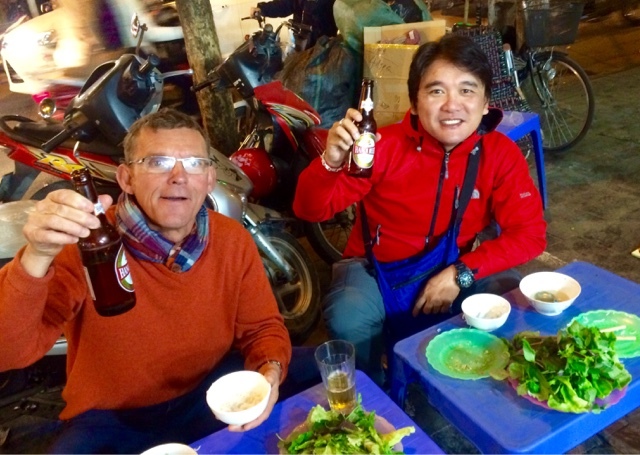 I enjoyed Bun Cha and even shared a beer with a French guy. I went back to the hotel and Tony and Kim were kind and gracious in offering me to dine with them as part of their New Year celebration. I obliged! 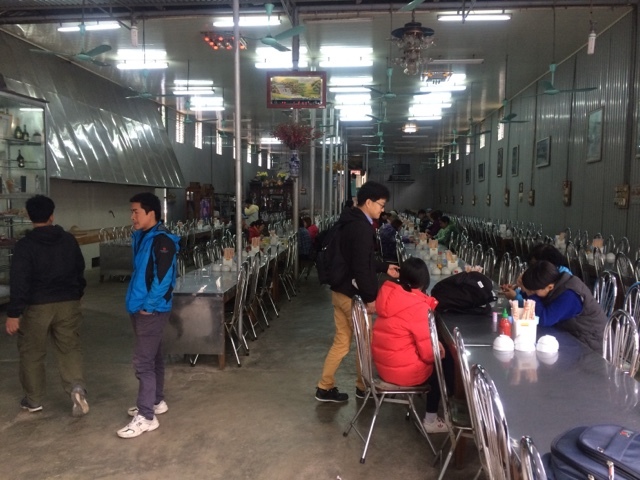 I ate duck and silkworm! I consumed so many rice wine and got drunk! 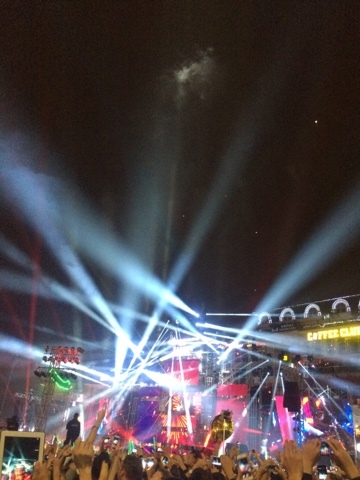 After dinner, I went to the lake area and for the first time, celebrated New Year outside the Philippines! 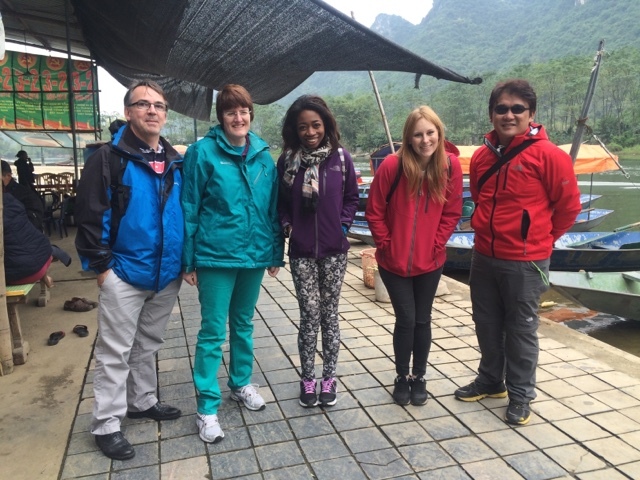 Thank you Tony, Kim, Hien and Xiao Tian! 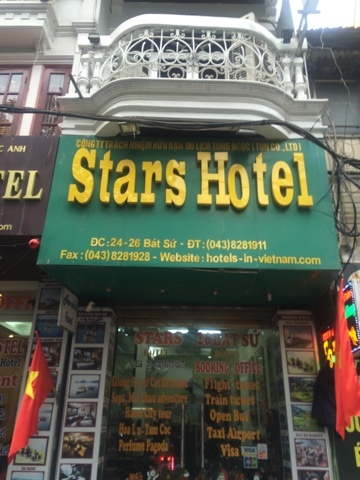 Thank you STARS HOTEL for my superb and excellent stay in Hanoi! Thank you also for the best-priced tours!